Last night, our small group (H.O.P.E.) celebrated the start of the summer season with an end of school year picnic/barbecue. It was a great way to celebrate a wonderful year together serving others and growing closer to each other. I have thorough enjoyed watching our kids connect with the kids from the other families in our group, and I have enjoyed bonding with the other adults. I’ve also enjoyed serving together with these wonderful families. Over the paste year, we have made crafts and spent time with the seniors at the Colonnade of Schwenksville nursing home, made a holiday meal for international students at Montgomery County Community College, cleaned up the backyard at the Norristown Community House, packaged books at Cradles to Crayons, served breakfast at the Ronald McDonald House, made packages for cancer patient siblings at the Phoenixville Hospital, stuffed eggs for a local Easter egg hunt, and made cards for soldiers. We have had a great year together! 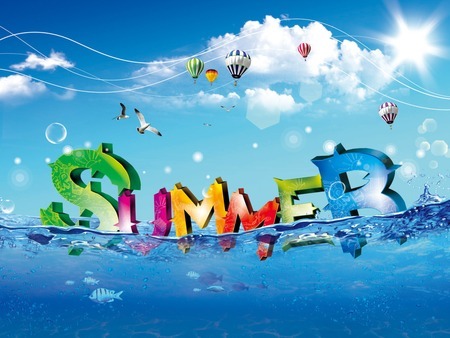 As we approach summer, we’ve decided to take a couple of months off while we all enjoy our summer vacations and summer schedule. The summer often presents a crossroads for many small groups. Should they keep meeting regularly throughout the summer or should they scale back until the fall? This is a great question. Here are my ideas for how to approach this season. 1. Consider meeting regularly. If your group has enough mass, you might be able to get away with continuing right through the summer. If you decide to do this, I would recommend selecting a study topic that allows for group members to come and go. Many group members will likely miss a few meetings, and it’s a good idea to use a study topic that people can jump into at any time. 2. Consider meeting once a month. This is a great opportunity to keep the group going with a few social events. Picnics, swim parties, and outdoor meet-ups are great ways to stay connected during the summer months. 3. Consider taking a break. From the introduction above, you can see the this is what our group, has decided to do. We are all pretty busy over the summer, and this break will provide some time to focus on our families. Having said this, I’m already looking forward to meeting again in the fall. 4. Consider using the summer as a natural end to your group. Sometimes, it can be awkward to stop a group and start over. The summer can provide a natural time to transition from one group to another. This can also be a great time to release a leader who needs a break from small group leadership. If you’re not in a small group, this may not make sense. I’m praying that you find a small group to call home – to connect – and to find the right balance of grace and truth. If you’re already in a group, I hope this is helpful as your group approaches the summer. Are you in a small group? How does your group approach the summer? What other suggestions do you have for summer small groups?